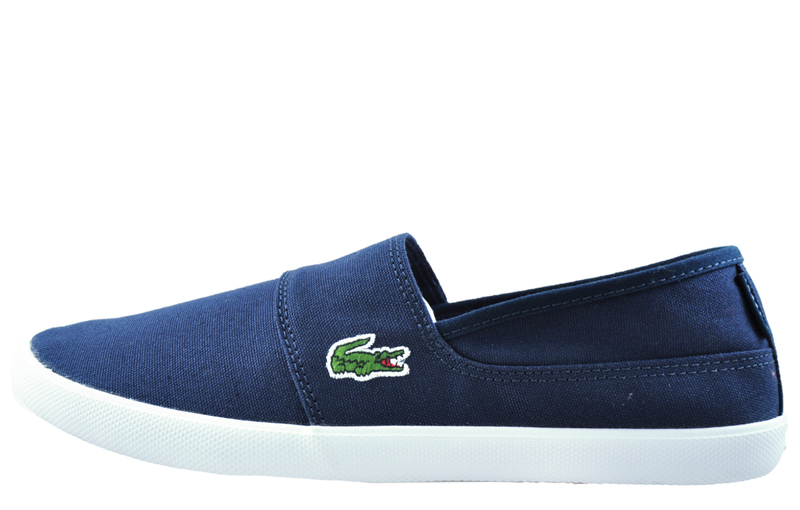 Add a touch of contemporary flair to your wardrobe with these Lacoste Marice men’s Espadrilles. 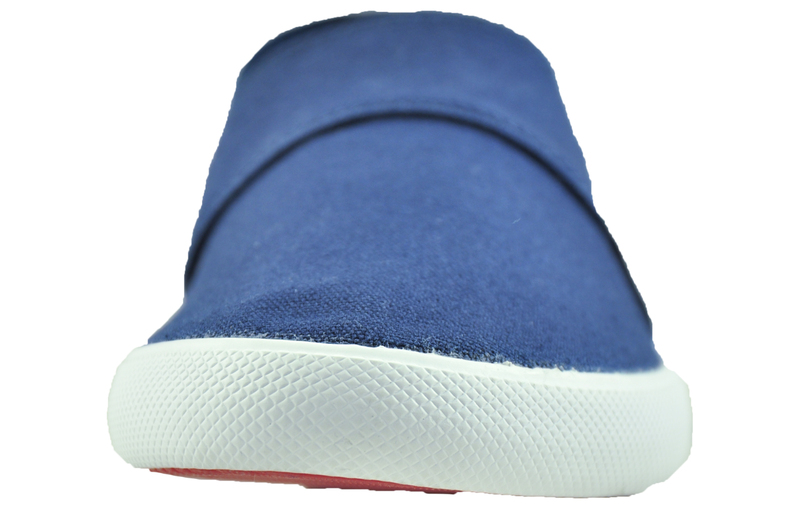 Featuring a premium soft canvas upper in a slip on design to create the perfect shoe for easy on easy off wear. Equipped with a lightweight rubber outsole and contrasting white midsole giving your feet all the comfort they will need this summer. 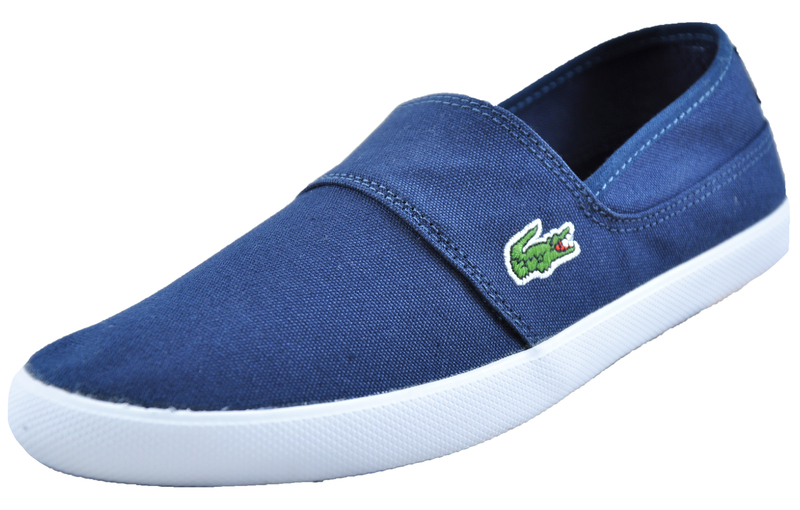 Finished in a navy blue colourway with stylish Lacoste embroidery to the side of the shoe you will always look your best in these slip on espadrilles. 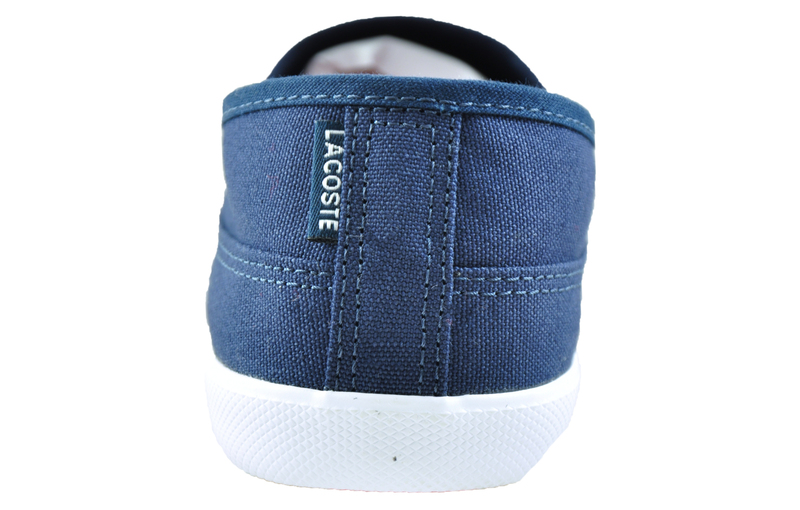 These Lacoste trainers are sold as B grades which means there may be some very slight cosmetic issues on the shoe and they come in a Lacoste box with the Lacoste brand authenticity details attached to it. Expresstrainers.com has checked every pair of these shoes and in our opinion at these heavily reduced prices all are very saleable. All shoes are guaranteed against fair wear and tear and offer a substantial saving against the normal high street price. 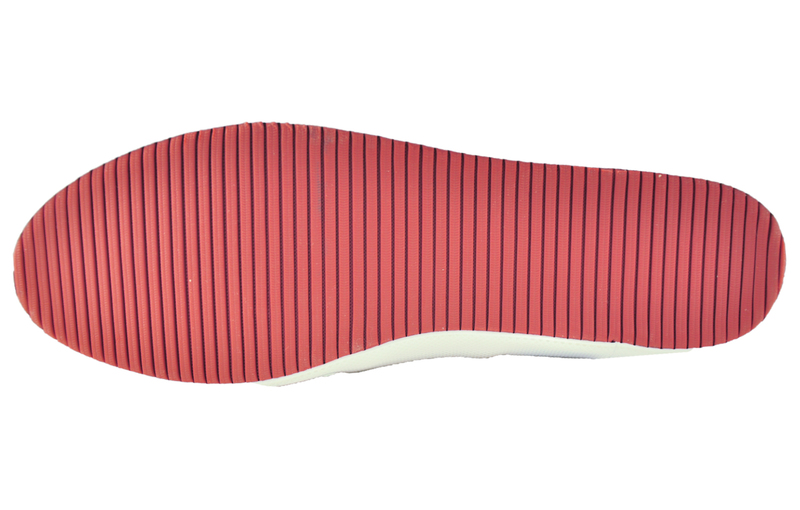 The overall function or performance of the shoe will not be affected by cosmetic issues. B Grades are original authentic products released by the brand manufacturer with their approval at greatly reduced prices. If you are unhappy with your purchase we will be more than happy to take the shoes back from you and issue a full refund. Possible imperfections may include some, all, or on some occasions none of the issues stated: Scuff marks to the upper; glue spots to the upper; general discolouring imperfections to the upper, occasionally some discolouring of the sole.